Working with Ethnicity, Race and Culture in Mental Health: A Handbook for Practitioners enables front line practitioners to understand why it is important to consider the specific needs of people from black and minority ethnic (BME) backgrounds in mental health settings. It offers practical guidance on how practitioners can take positive steps to improve the quality of their work and their relationships with BME service users, and ultimately how to improve their outcomes. 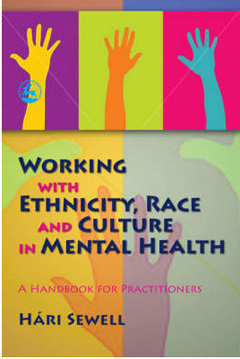 By advocating the practice of recognizing the individuality of each service user, Working with Ethnicity, Race and Culture in Mental Health: A Handbook for Practitioners provides practitioners with the tools and information they need to work fairly and effectively. Working with Ethnicity, Race and Culture in Mental Health: A Handbook for Practitioners by Hári Sewell is available to buy now. Click here to buy.